We only rely on our short term memory for storing up to seven things ( we can store large numbers but we pair them together, like a phone number 0863500564, would be stored as 086 35 00 56 4) for periods of 20 seconds. Information is then passed onto our long term memory. We have several areas that we can move information into - short term or long term storage and that is through our sensory channels…hear /say something, see something , touch something, taste something, smell something…all but our hearing happen very much without us realising. Reading this article will hopefully bring clarity and reduce the frustration bought on by a poor memory and also help avoid some of the meltdowns. 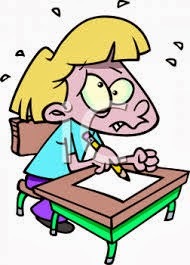 Dysgraphia can affect many people in various ways…it is generally regarded as deficiency/learning difficulty in the ability to put pen to paper in terms of the written word. It can be a handwriting issue, or a cognitive issue (transcription difficulty)…taking thoughts from the mind and putting them down on paper, and can also be down to agraphia. The main difference between the two is the difficulty in understanding numbers, ie. 5 back to front and getting sums reversed (54 x 4 can be read as 45 x 4), learning how to manipulate numbers, learning maths facts and a number of other related symptoms. 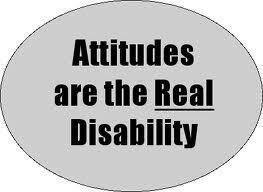 As with dyslexia, Maths disabilities can also occur as the result of some types of brain injury (apraxia), in which case the proper term is acalculia, to distinguish it from dyscalculia which is of innate, genetic or developmental origin. Estimates of the population with dyscalculia range between 3 and 6%. 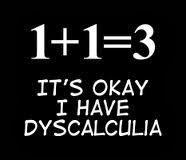 around 50% of those with dyslexia have dyscalculia and the remainder are generally quite good at mathematics. Children suffering from visual stress can also have a problem with writing down sums, as they have a problem in forming columns and rows. Have you ever heard people say, That’s a half brained idea!’… contrary to the belief of many, our brain is divided into two halves. We will look in more depth at how we fall into the category of a left or a right brained person. Have you heard of this before?... maybe you already know which is your side? Perhaps you have taken a test?... there are many and also online tests like the one I took the other day which confirmed my thoughts…I am dyslexic and right brained and very happy with that! Okay so how is this played out! We know of many around the world who are right or left brain dominant and we know from extensive research that we get different things from different areas of the brain, which allows us to store information in our long term memory banks. Many who have researched cognitive preference/behaviours, strongly believe that we have a particular way of achieving objectives and would process information through preferred channels and media. It’s strongly thought that left side is very much a linear path and would have a very analytical and logical way of reasoning/doing and the right brain is more open, less analytical and reactionary, often goes with the gut feeling and would be considered thoughtful. I would point out that there are exceptions to any rule. It is thought that Einstein was right brained and was purported to have dyslexia yet, as we know, was a great thinker and a brilliant mathematician. However, it is also possible for people to have equal left and right brain, as well as those that would have a dominance. There has been much research done, even so far as separation of the left and right sides of the brain, like that of Nobel prize winner Roger W. Sperry. We know that this doesn’t really solve much as we need both sides to work even if one is sub par, as there are certain parts that control motor, speech, hearing, etc. I was recently in hospital for a suspected TIA and in the Stroke Ward I gained a valuable insight into much of this research. After a stroke many are left with speech and motor skill problems, but they have their hearing and sight intact …how is this? The right side of the brain is the last part to become starved of blood as the main supply goes up the left side and into the left side first. We can see from the above how the left and right sides differ, indeed Sperry noted that language was driven by the left side and many could identify objects from the right side, but were unable to put a name to such objects. Many dyslexics would have some problems with maths, however there are others that do not struggle with maths and have problems with dyslexia, this seems to be more word related than numeric. We are continually taught by many to the left side of our brain, which for left brained and left and right brained is just fine… they like to read and take down notes and listen to monologue presentation’s and can gain all they need to pass exams and go on to University and hold down good jobs. You will find few left brained students venturing into a domestic science class or art and music… it’s just not there scene, but throw them into Maths or English or maybe Business and Economics and they are at home… most will flourish. If the right brain was fed information as often as the left we would have a greater number of gifted scholars and this would greatly benefit the world. Indeed, chances are we would be further developed than we are at present… this is due to our ability to be creative and expressive. How many of you are like me?... I pop into IKEA and photograph the display model from all angles and this is far easier for me when building my flatpack, compared to reading complicated instructions. In fact in the garage is my classic motorbike which I worked on a few months ago… I took the engine apart piece by piece, taking photographs along the way and a week or so later put it back together again using the photos, not an instruction manual in sight! We are able to remember information in picture format for years and many wouldn’t question the power of our memories. We can take one look at a face and know if we are getting the full picture (honesty), we are generally very good at drama and the arts in general and make very good cooks/chefs. We only have to look at the list of successful dyslexics/dyspraxics/dyscalculics to see how we make up 33% of the world’s entrepreneurs… many household names. So where do we go from here? Teachers need to be given more room to develop their lessons from a more imaginative curriculum, more subjects taught through images and role play, etc. This would be quite easy to do in English literacy… let the students play out the parts. Maths could have a far greater reach by turning numbers into fact finding exercises, like the demograph of a Stones concert against that of One Direction. Lessons would take on a whole new dimension, the students would learn far more and the teachers would have far more fun and reward by teaching this way. Finally, it’s a win win! 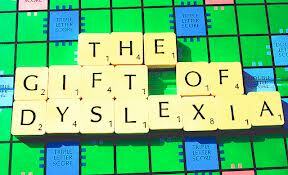 To conclude… being right brained and dyslexic is a gift and one I never want to part with. All our articles are for advice and guidance only, professional opinions should be sought.